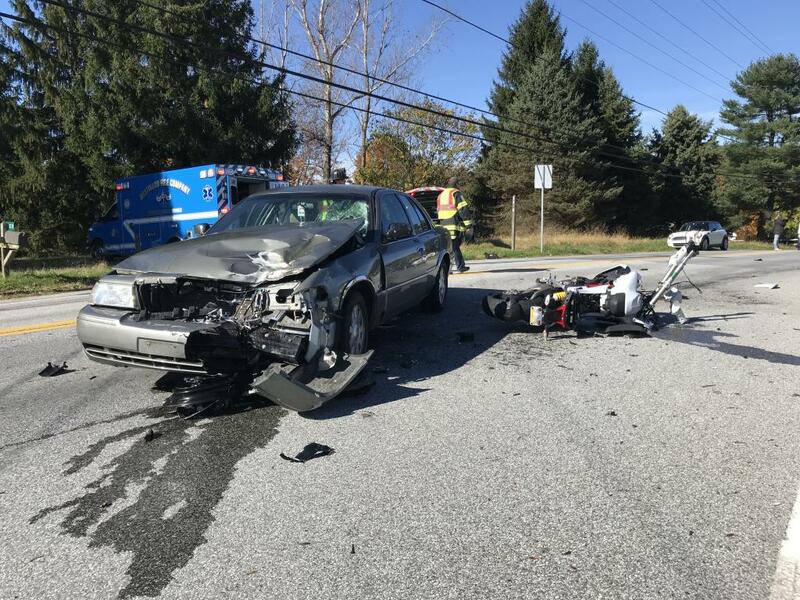 On Sunday November 4th, East Brandywine Fire Company responded to an auto-accident reported serious involving a motorcycle. 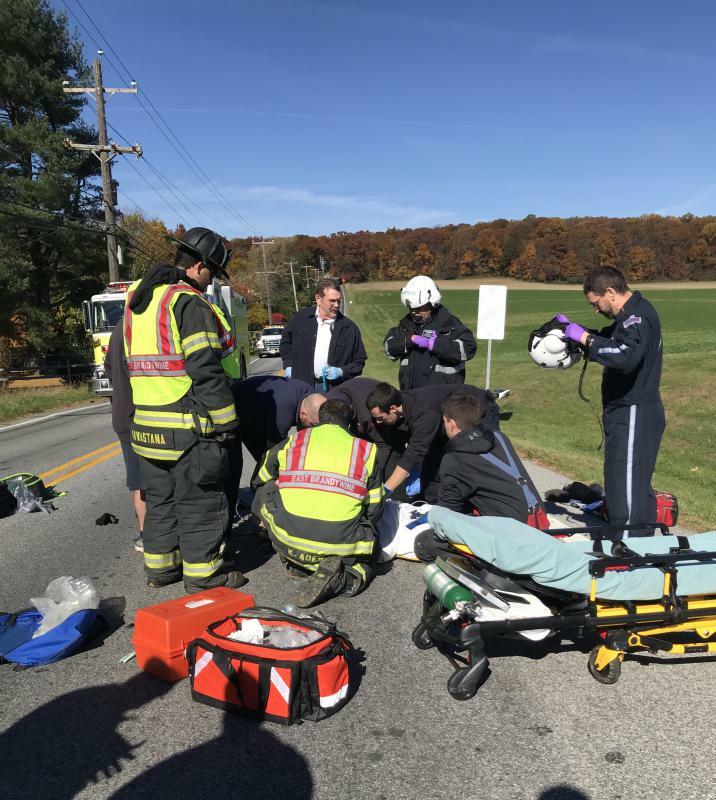 The accident occurred on Manor Road in the area of All Souls Cemetery in West Brandywine Township. While en-route Chief 49 requested JeffSTAT 3 to be placed on standby based on the nature and extent of the reported injuries. 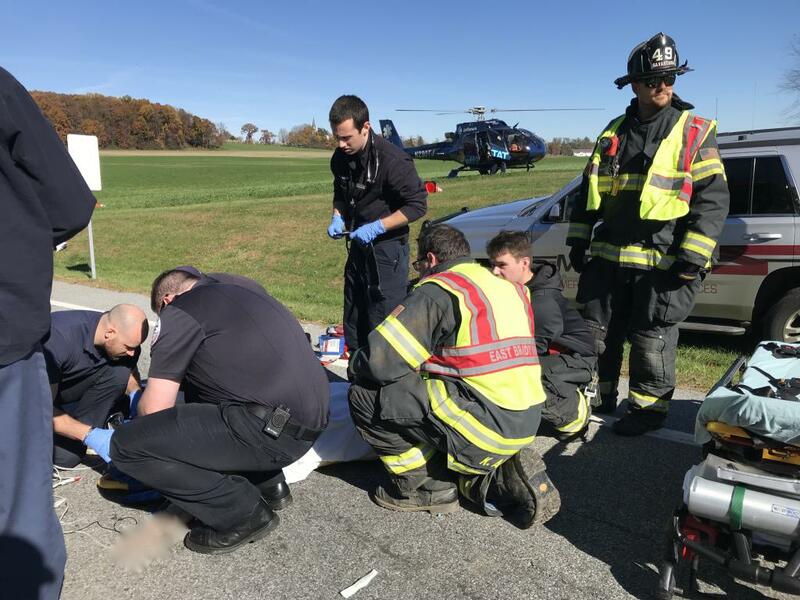 Upon arrival EMS personnel worked on assessing and treating the patient and it was determined that air medical transport was appropriate. Upon arrival of the helicopter the patient was quickly transported to the aircraft for transport. 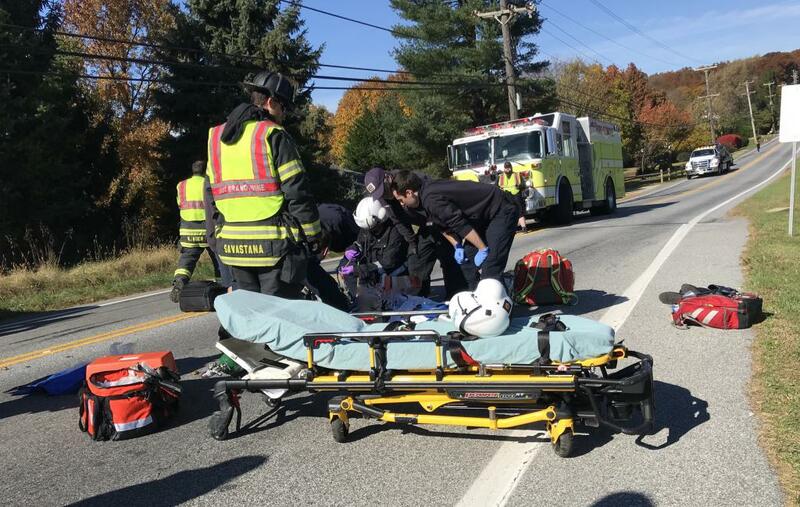 The roadway remained closed for several hours for accident reconstruction. Our thoughts and prayers are with all the individuals involved in today's crash.